This program is administered by the Department of Human Services. You can visit their website at http://humanservices.hawaii.gov/bessd/snap/ for a description of this program, eligibility requirements, information on its operations and phone contacts. Visit http://humanservices.hawaii.gov/bessd/snap/ for a listing of user rights and responsibilities. U.S. citizens and some aliens admitted for permanent residency may qualify. Proof that household has no more than $2000 in countable resources. Proof that household has no more than $3000 in countable resources if at least one person in household is age 60 or older. Documents regarding household members’ income. This program is under the Alulike organization and referred to as “Ke Ola Pono No Na Kupuna” (Good health and living for the Elderly – Native Hawaiian Elderly Services Project) which provides daily congregate meals or limited home delivered meal services on the islands of Hawaii, Kauai, Maui, Molokai and Oahu. For hours of operation, eligibility requirements, locations, services and costs, click on http://www.alulike.org/. Household members 60 years of age or over. Spouses of the above individuals. 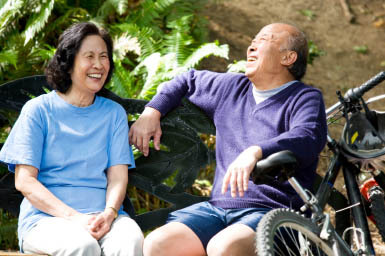 Individuals eligible for meals on wheels may use all or any part of the coupons issued to them to purchase meals from a nonprofit meal delivery service authorized by FNS.–Hawaii Administrative Rules, Title 17 Department of Human Services, Subtitle 6 – Family & Adult Services Division, Chapter 610 Food Stamp Program Adiminstration. Oct. 15, 2004: Hawaii Meals on Wheels will be opening a new delivery route in the Ewa to Kapolei. Applications are currently being accepted from potential clients. The volunteers are ready to deliver but additional clients are necessary to make the routes viable. Meals are delivered HOT, ready to eat. These are LUNCH meals only, delivered between 11:00 a.m. and 1:00 p.m. There is NO AGE RESTRICTION to receive meals. Clients must be frail elders or individuals with disabilities who are HOMEBOUND, unable to cook/shop for themselves and with limited social support to assist with cooking/shopping. Some SPECIAL DIET restrictions can be accommodated. Clients are asked to contribute toward the cost of their meals at whatever rate they can AFFORD. No one is turned away due to inability to pay for meals but everyone is asked to contribute something. The Act provides for migrant, homeless and runaway children & youth to get free school breakfast and lunch. It also confers automatic eligibility for free school meals to runaway children and youth served through grant progams and migrant children through section 1309 of the Elementary and Secondary Education Act of 1965. Contact your DOE school on your island. KEY Project networks with the Hawaii Foodbank to provide several food items in Heeia to Kaawa communities for whom times are tight. Food distribution is at their facility every Wednesday. Foodbank service is available to residents from north Heeia to Kaaawa. Location: 47-200 Waihee Road, Kaneohe, HI 96744. Phone: 239-5777. FEMA – emergency assistance to families who are not receiving food stamps. TEFAP – surplus food distribution to people earning below the 150% poverty guideline.